While PC as a platform has always more to offer, it’s consoles where the top games arrive driving the global gaming market and economy. Granted, MOBA and other similar genres are strictly PC-only, which is leading to a resurrection in the PC gaming industry. With the new generation of consoles, namely the PlayStation 4 and Xbox One, following PC-grade hardware under the hood, the strong line separating games on PC and consoles has evolved into a fine line. The last generation of consoles, as everyone surely remembers, was unusually long. The Xbox 360 and PlayStation 3 era lasted for 8 years before a successor to each were announced. Even now, next-gen exclusive titles are very few. But that isn’t our concern right now. According to AMD, the next-generation of consoles, i.e. after the PS4 and Xbox One, are already under consideration. We have reason to believe, according to several reports in the past, that Nintendo too is working on a Wii U successor. Hopefully, it will come with more capable hardware this time. AMD is massively profiting from the semi-custom SoC design business. 12 million PS4 and Xbox One units have been sold combined; 12 million devices powered by AMD APUs (CPU + GPU) in just 6 months. In addition to that, 6 million Wii U units have been sold by Nintendo since its launch back in 2012. The Wii U uses a GPU designed and made by AMD. Devinder Kumar, Senior Vice President and Chief Financial Officer of AMD, expressed his views regarding the current-generation of consoles, which he expects to be much shorter. Why should we take his word? Well, a company such as Microsoft or Sony picks a chip designer at least 3 years ahead of their projected release of a product. If we take Kumar’s hint, Microsoft, Sony and even Nintendo could already be planning their next product. 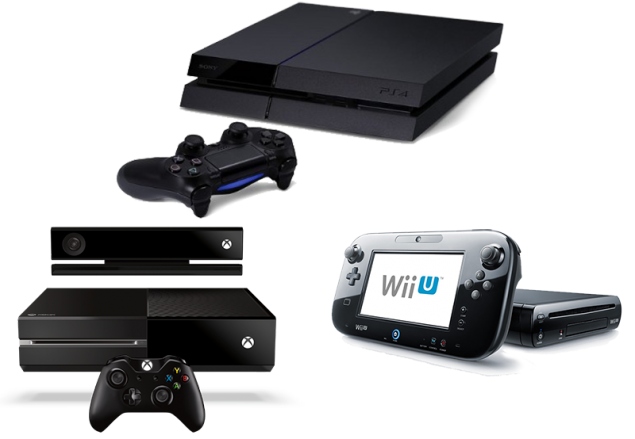 But don’t expect the next generation of consoles to be drastically different. Like old PCs get fitted with new parts, the successors to the Xbox One and PlayStation 4 could simply be the case of an old dog learning new tricks, albeit with faster hardware running under the hood. This way, cross-platform compatibility will easily be maintained, as game developers can simply drop various settings related to graphical fidelity and release the titles across the current consoles, next-gen consoles and PC. At present, Sony is in no need of hurrying their next console release. Reports suggest that the Japanese company is already generating profits on the PS4 hardware. Also, games run better and faster on the PS4 than the Xbox One. A double win? Yes, sir.